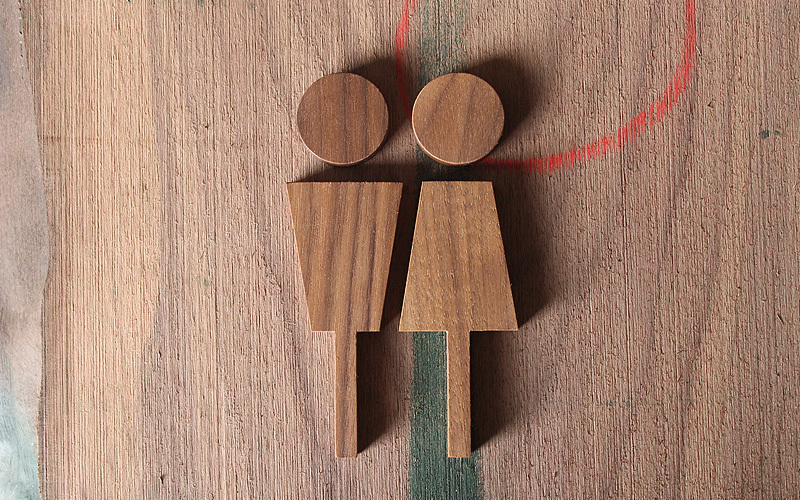 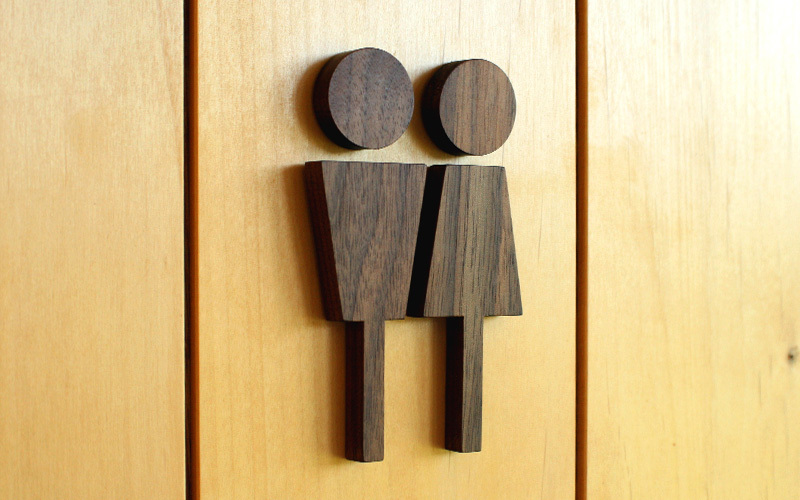 Simply composed of squares and circles, this signage of male & female to indicate restroom is recognizable yet modest. 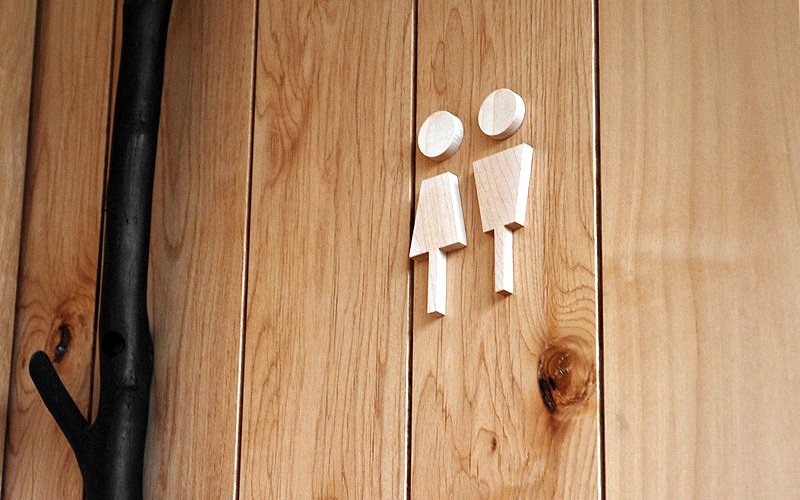 It states clearly enough to guide your guest and locate to the room. 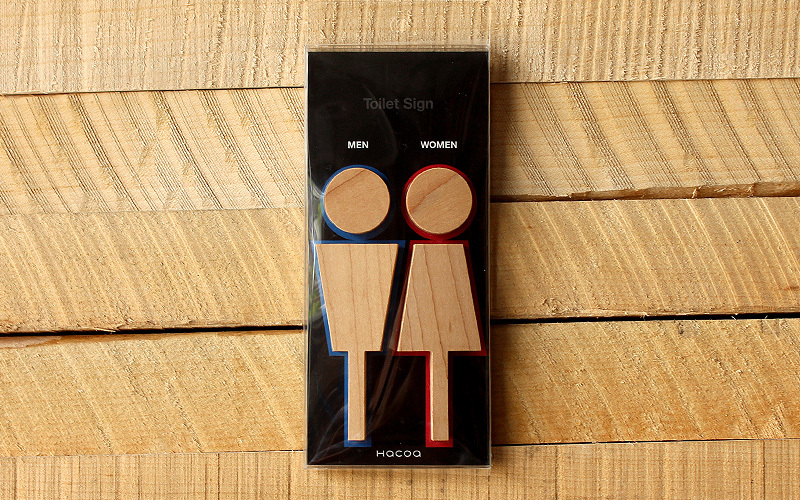 This smart sign is available in two types of wood for you to select one that matches your door.